1905 Graduation Photograph of Ernest Spencer Calder from Technical High School at Providence, Rhode Island. The photograph itself is 3" x 4"; the piece mounted is 10" x 7". It was found with 15 similar photographs of 6 young men and 9 young women. Most, if not all, were taken by the studio of Edgar K. Horton of Providence. 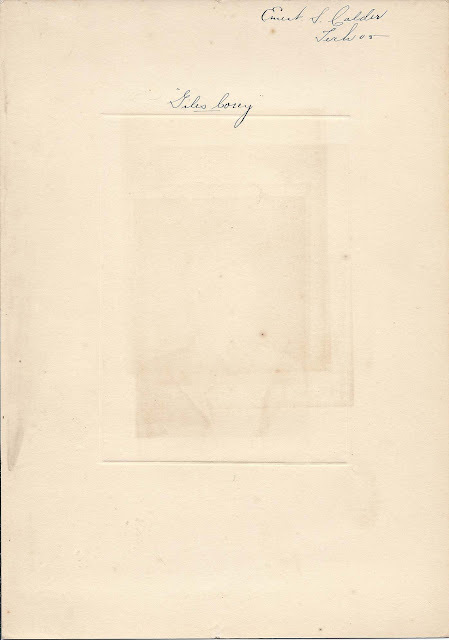 A list of the people in the photographs appears at the end of this post. 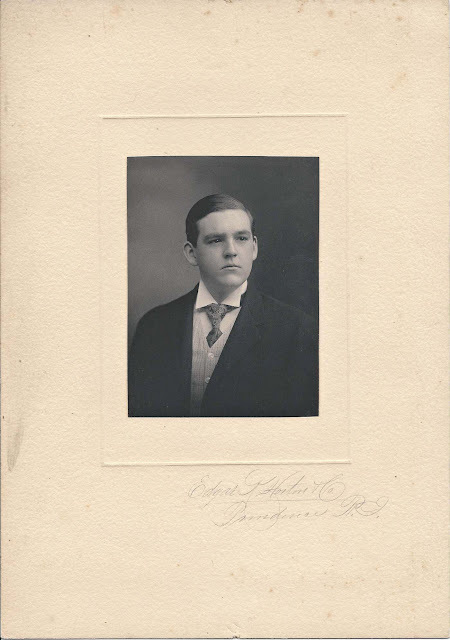 Ernest Spencer Calder was born at Providence, Rhode Island, on 12 June 1886, the son of Charles Granville Calder and Florence Nightingale Bangs (Williams) Calder, Providence, Rhode Island natives. Ernest's paternal grandparents were John Lewis Calder and Julia Frances (Eddy) Calder. His maternal grandparents were Nathan Bangs Williams and Abby Ann (Jillson) Williams. Ernest received a degree in dentistry from Harvard College and taught dentistry there on occasion. He established a dental practice at Providence, Rhode Island. On 6 July 1910, Ernest married Alice G. Giles, daughter of Hollis L. and Flora E. (Holbrook) Giles of Fall River, Massachusetts. Alice was born at Fall River on 25 July 1884. Dr. and Mrs. Calder had at least two children, both daughters. Dr. Calder died on 25 November 1947, as the result of a heart attack. I found a newspaper article about his death that mentioned that he was the victim of a swindle; perhaps the stress contributed to his ill health. 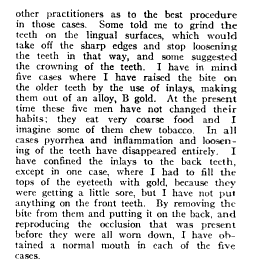 The January 1922 edition of the Journal of the American Dental Association contains a submission from Dr. Calder, shown below. If you have corrections and/or additions to the information above, please leave a comment or contact me directly. Thanks! 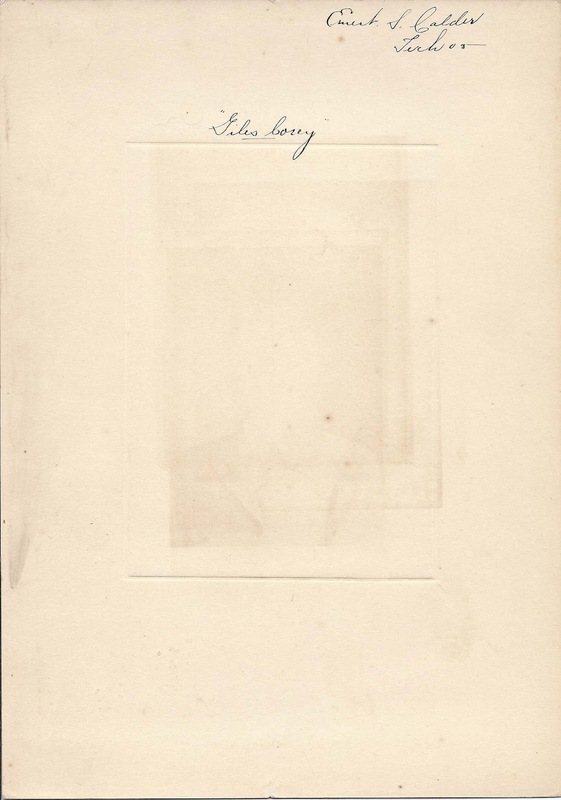 Ernest Spencer Calder, Tech 05, "Giles Corey"
Florence Dombey Colwell, Class of 1905, T.H.S.